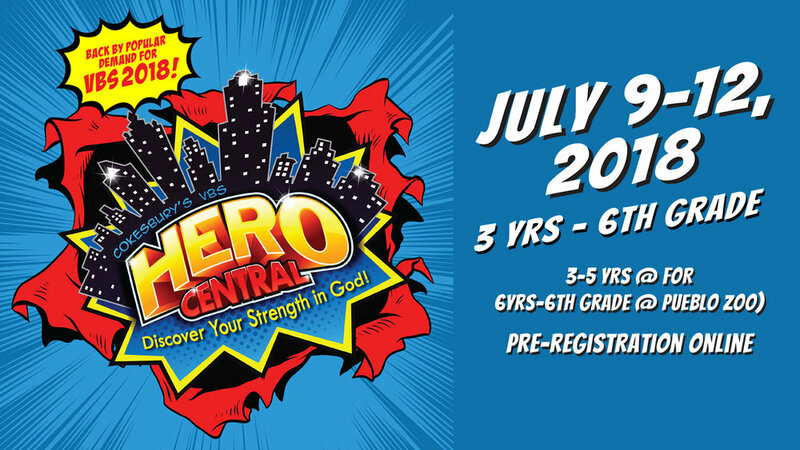 Join us for Vacation Bible School! Your kids will learn how to discover their strength in God. Ages 3-5 years old will meet at Fellowship of the Rockies. 9:15am- 11:30am Monday through Wednesday. 6years - 6th grade will meet at the Pueblo Zoo. Looking to serve? We have opportunities to serve in all ages!